Thanks to our amazing social media campaign devoted to “Crashing PP’s #PinkOut Party,” Americans across the nation saw a totally pro-life message about the color pink on Wednesday. ALL hosted this event to deflate Planned Parenthood’s deceptive efforts and to expose the truth. That may have happened, but even if it did, the pro-life message got through. Our social media campaign using adorable baby feet made the undeniable point that if you are not alive, you can stand neither for nor against anything—including Planned Parenthood. But the real question is why Planned Parenthood chose to use the color pink in the first place. We realize that the organization is using its campaign to draw attention to the opinion that the government must continue funding its work or women will not be well served. But that alone is an oxymoron. After all, Planned Parenthood makes its biggest money killing preborn babies, not helping them and their mothers live and improve their lives. One might say that what Planned Parenthood does is best represented by the color red—blood red. The truth is that the bloody business of abortion is all about money. And never forget the blood spilled from the women who have been rushed to the hospital after being brutalized by Planned Parenthood abortionists. 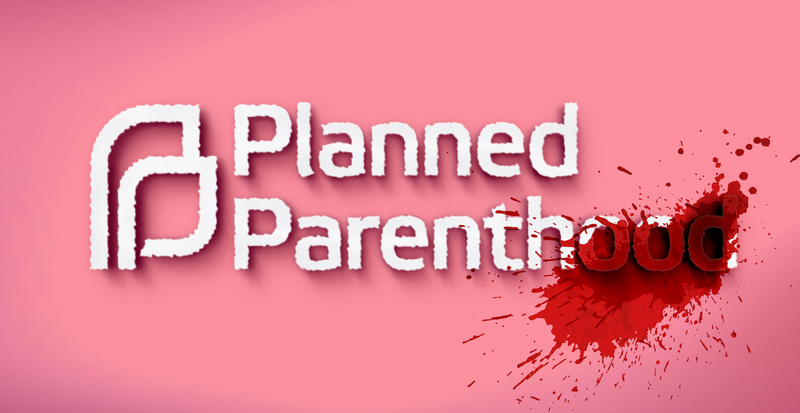 Yes, red is by far the choice color for Planned Parenthood, not pink. Having said that, we know that the average American does not yet see it that way. When, for example, the crazed shooter in Northern Virginia shot at members of Congress during a baseball practice, there were cries for an end to the violence and a call to civility. Senator Bernie Sanders said: "Let me be as clear as I can be—violence of any kind is unacceptable in our society, and I condemn this action in the strongest possible terms." But pro-abortion Sanders, like countless others, does not see the hypocrisy in that statement. Sanders does not see the brutal act of abortion—the ripping apart of babies—as the direct killing of a human being. He does not understand that no violence should be tolerated in a civil society, no matter where it occurs—on a baseball field, in an abortionist’s office, or anywhere. There is no difference between the humanity of a preborn child and the humanity of a born human being. None at all. But until the majority of our fellow human beings understand that, the carnage and violence of abortion will continue. And like an infectious disease it will spread, whether the killing is done by surgical instrument, medical methods, chemicals, or in in vitro fertilization laboratories. Once evil enters the picture, denial is not far behind. And the evil of abortion affects every single one of us. So, when it comes to pink versus red, let me make one thing perfectly clear: Without life, no choice can ever be made. It is really as simple as that.